Read this guide for access to free shipping with COD (cash on delivery) on the Souq online shopping portal (Souq.com) in Egypt. No shipping fees, no coupon. All orders that qualify for the “free shipping program” can be delivered across the country, except for certain areas that are considered “out of service”. The delivery is between 09:00am and 05:00 on Saturday to Thursday. Orders where the total cost of items is 250 EGP or more. Products that are marked “fulfilled by Souq” only. Most shopping categories (more than thousand) include qualifying items. Certain types of items are excluded from free shipping such as Fridges, Freezers, Dish Washers, Washing Machines, Air Conditioners. These types will have an extra fee of at least 50 EGP to Giza and Cairo. For the rest of Egypt 100 EGP. Orders that use coupons are eligible as long as the 250 EGP minimum threshold is met. To use this offer, no coupon is needed. If you do not cross the minimum threshold valid for free shipping, you can add more “fulfilled by Souq” items to cart until the limit is met. You can find qualifying items for purchase by first searching for a product of your choice, and then selecting “fulfilled by Souq” on the left. This is the easiest, fastest method to narrow down the search to eligible items only. The speed of delivery is usually between 2-4days for domestic shipping. There is no need to pay for a subscription, and you may simple see the link above for access to the free trial program available for all Egypt residents. International customers cannot benefit from the program at the moment, but support globally is excepted sometime in the future. No time estimate has been set. 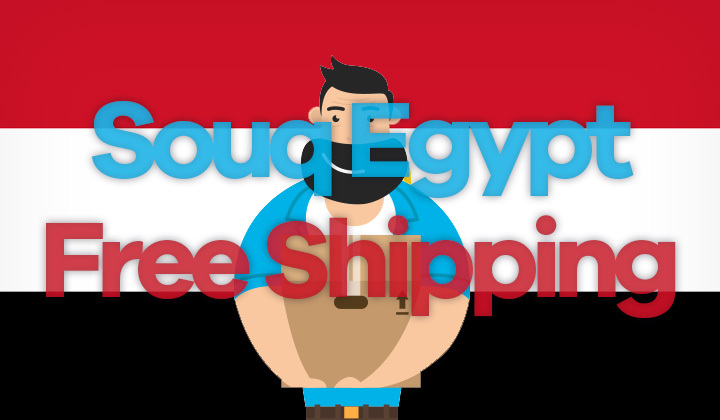 That’s how to get free shipping on Souq Egypt without a coupon! Any questions, concerns, comments. Add them below. Big thanks for visiting and reading. David. Also I think it’s fair to let readers to know that some links (not all) are what’s known as an affiliate link. This supports the blog, and keeping cookies that track possible purchases on the other end is voluntary. Thanks for understanding.